Which end of an asparagus do you eat? I am not going to eat that, it's too spicy! Pink milk cartons (non-fat) are only for girls. A student leader and student assistant help hand out the bell peppers. 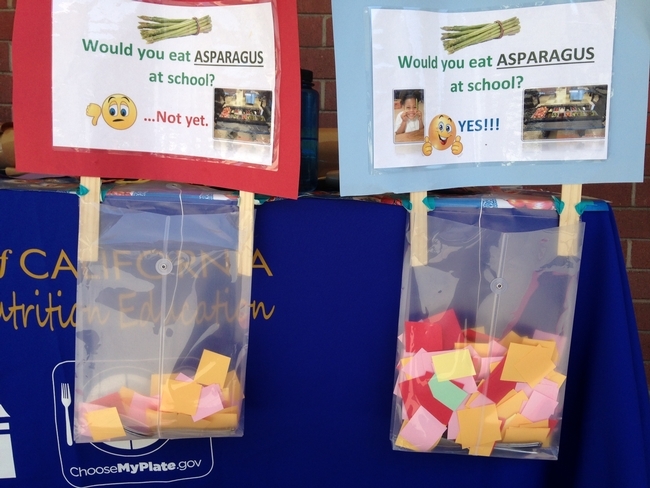 These and many other questions and comments came from students and staff at schools in the Santa Maria-Bonita School District (SMBSD) during recent efforts to expose students to a wider variety of fruits and vegetables. A collaboration between SMBSD staff and UC Agriculture and Natural Resources's UC CalFresh Nutrition Education Program of San Luis Obispo and Santa Barbara Counties (UC CalFresh) was initiated in the 2014/2015 school year to work on increasing the likelihood that students will select and consume vegetables offered through the school meal program. 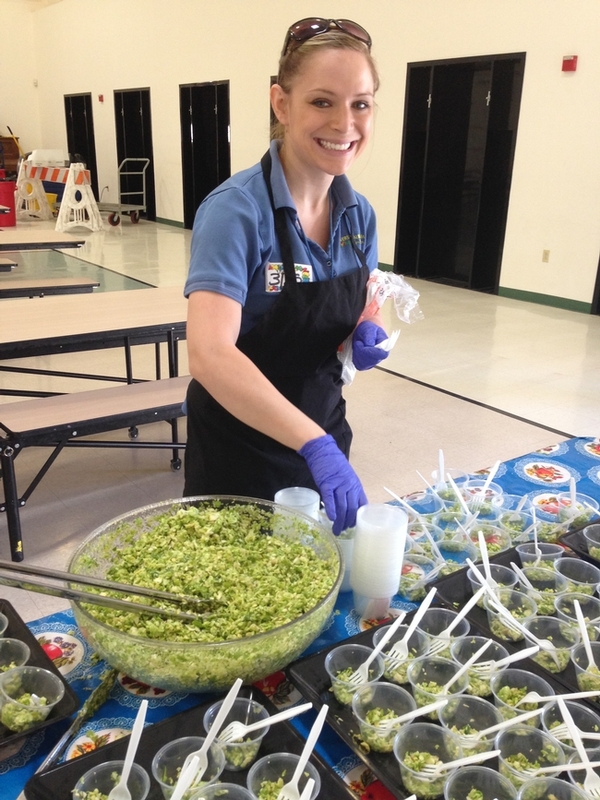 The collaboration included three components: monthly, school-wide seasonal produce tastings facilitated by UC CalFresh and supported by the school district; Smarter Lunchroom Movement strategies implemented by district food service staff with support from UC CalFresh; and classroom nutrition education with curricula provided by UC CalFresh and implemented by participating classroom teachers. Example of how students voted. got the opportunity to try new vegetables like Brussels sprouts, asparagus and sweet bell pepper. After tasting new vegetables, students then placed a ticket in either a “yes” or “no” box to indicate whether they would like to see those vegetables again on their school menu. Student leaders participated in all aspects of the monthly tastings, from advising on what produce items to sample, to making signs advertising the featured produce, to handing out the samples to their peers. 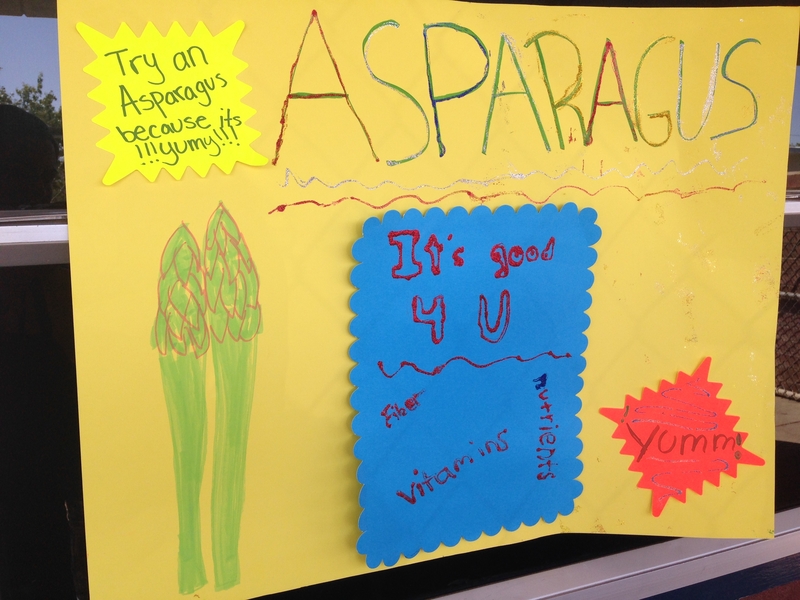 The voting results were overwhelmingly positive with a majority of students in favor of putting Brussels sprouts, asparagus and yellow bell peppers on the school menu. 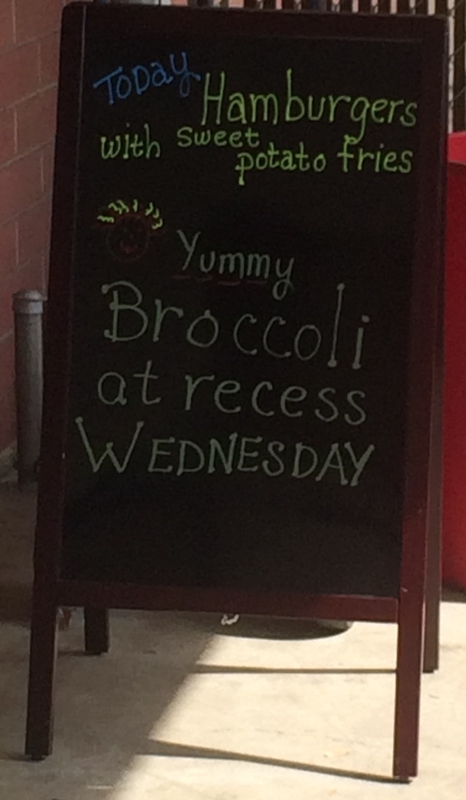 As a result of these findings, and the students' enthusiasm for trying new things, food service staff are working on incorporating a Brussels sprouts salad into their regular menu. school cafeterias before the end of the year. Changes identified included improving signage on the salad bar and in the entryway, creating a cafeteria brand (i.e. Bulldog Café) to encourage students to take pride in their lunchroom, and creating a more welcoming atmosphere so students could sit and enjoy their school meal. In addition, UC CalFresh staff made a regular habit of eating lunch in the school cafeteria with students when they were on campus for other nutrition education events. 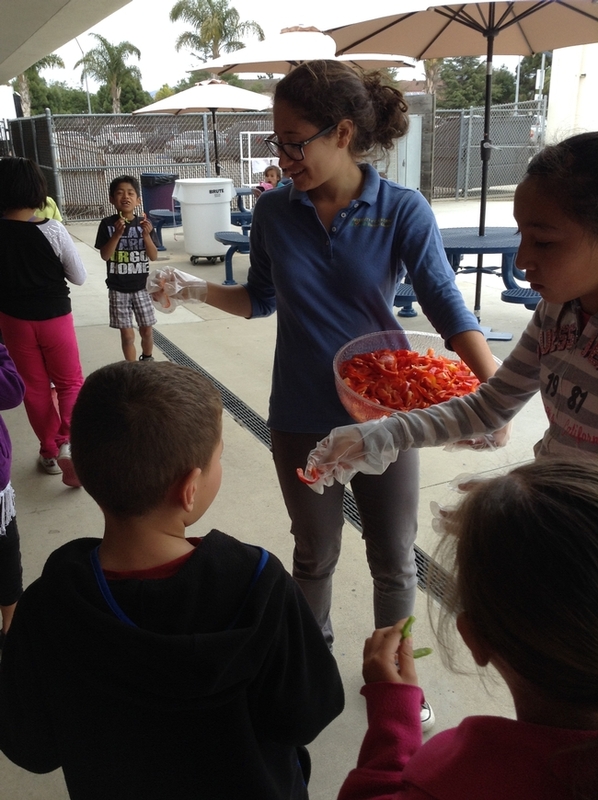 Students, at first surprised seeing adults eating school meals, welcomed the nutrition educators to their tables. Staff took the opportunity to talk to the students about their food, model healthy food habits and dispel myths about their food. Myths included things like pink milk cartons (non-fat) were only for girls and school lunches are unhealthy.  By the end of the school year, all participating schools had improved their scores on the Smarter Lunchroom Self-Assessment Scorecard and plans are currently being developed to provide districtwide cafeteria branding. 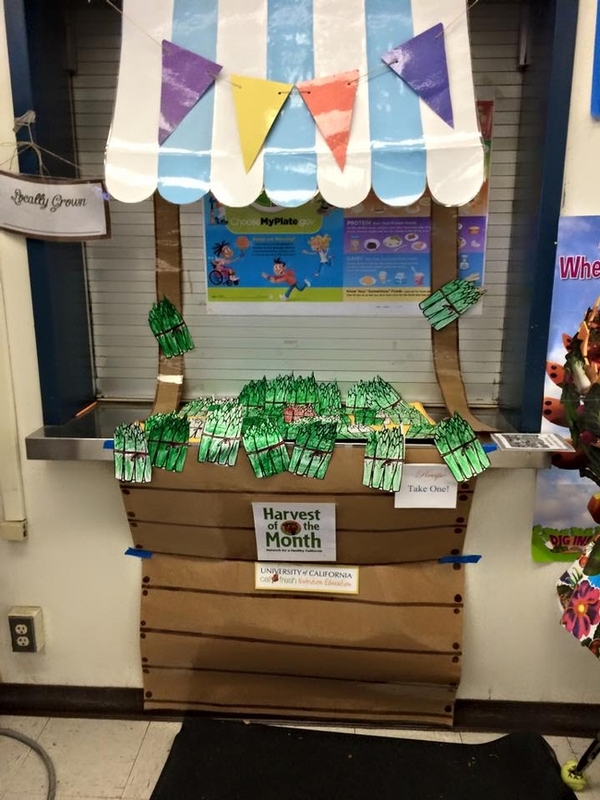 option of connecting classroom curricula with cafeteria efforts through the Harvest of the Month mini-lesson, then posting their students' work on the farm stand bulletin boards in their school cafeteria. The lessons and the student artwork helped to bring the three components together for students in all age groups. This collaborative effort has brought about many opportunities to educate, expose and inform students and staff about local produce and how delicious it can be in their school lunches. Students who once thought that sweet yellow, green and red bell peppers were too spicy had the opportunity to sample them and see for themselves. Students who did not know which end to eat an asparagus from got to sample it and then vote on whether or not they wanted to try it again. Food service staff also got to see how excited their students were to sample new items, including Brussels sprouts, and have a voice in their school menu. For more pictures, visit the UC CalFresh Facebook page. An initiative to maintain and enhance healthy families and communities is part of the UC Division of Agriculture and Natural Resources Strategic Vision 2025.
eat what they had grown. Thank you for your comments Jack. See our facebook page for more pictures of some of our garden nutrition education work, www.facebook.com/uccalfreshslosb. Always amazing to hear comments from students pulling a sweet juicy carrot out of the ground for the first time. Can't wait to hear about it! Go Master Gardeners! !